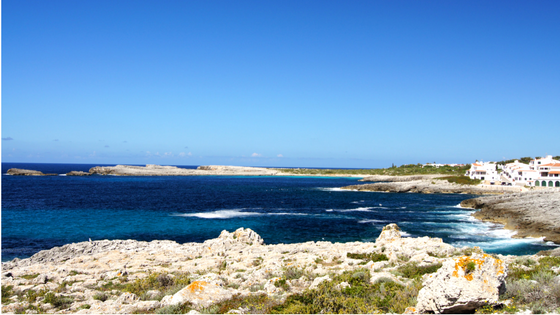 A 3km stretch is home to Binibeca Vell in the West through Binibeca Nou and onto Cala Torret to the East. The entire area is characterised by private white washed villas and benefits from a small commercial centre that has a great selection of restuarants, bars, supermarkets and shops which are all in walking distance. 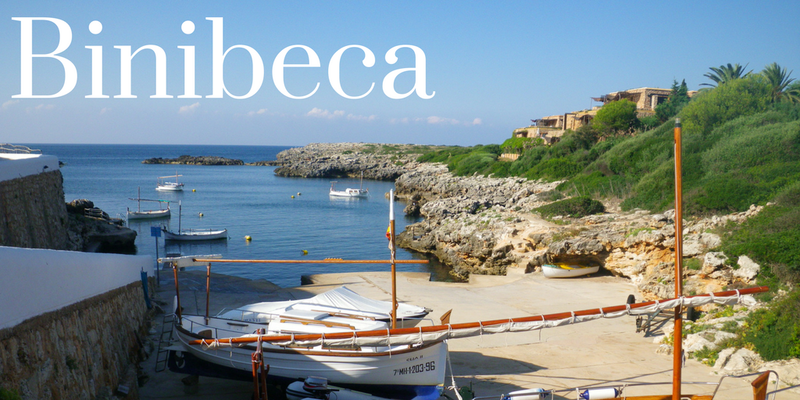 Binibeca is an idyllic sea side town on the beautiful South coast of Menroca; it’s the perfect choice for holiday makers wanting to escape but be of walking distance to amenities. The entire area is characterised by lovely residential villas and benefits from a small commercial centre that has a great selection of restaurants, bars, supermarkets and shops which are all in walking distance. Great for families with teenagers who want to go off to the shops or the beach on their own whilst the adults enjoy some peace and quiet. 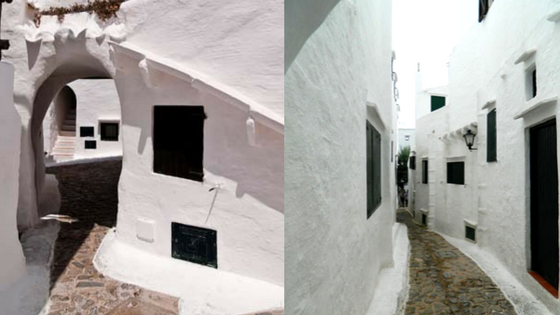 One of the must visit places to visit in the area is Binibeca Vell, a lovely Menorcan style fishermen village designed by Spanish architect Antonio Sintes in 1972. It is a picture worthy village ideal to escape to from the sun, with mazes of narrow streets and white washed two-story houses. 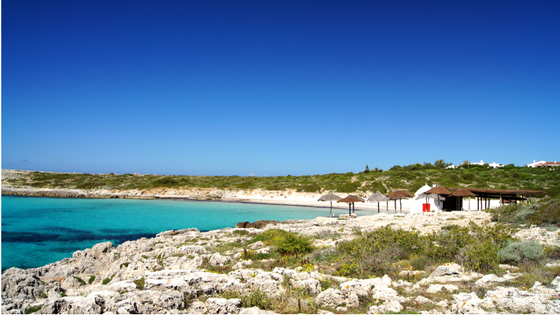 A souvenir shop can be found offering traditional Menorcan Varca’s (sandals), jewellery, clothing and local crafted produce. Another must visit is the lovely village of Cala Torret; wind down after a long day of sun and sea and have some delicious food and drinks overlooking the sea. We highly recommend having some relaxing food and cocktails whilst watching the world go by in the several restaurants and bars. Visit Binibeca beach and start your day with a dose of Vitamin D. With its beautiful white sandy beach that gently shelves and the bluest waters, it’s no surprise it’s a favourite for many visitors. Binibeca beach has great facilities including sun loungers, parasols and watercrafts/ kayaks available to hire. 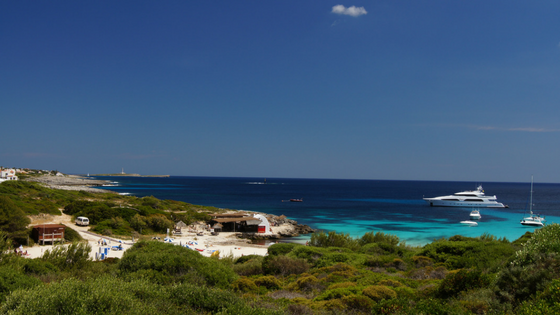 Visit Cala Torret and enjoy the selection of restaurants that doubles up as bars in the evenings, so you can enjoy a delicious meal out then continue the evening with drinks. Bar Paupa is a popular choice where you can enjoy the occasional jazz singer or band. Have some lunch in the traditional and long-standing restaurant and bar called Sa Musclera; located on the north side of the fisherman’s village of Binibeca Vell, offering some amazing dishes with a cosy and welcoming atmosphere. If you’re feeling slightly peckish or thirsty, visit the (apparently) oldest beach bar on the island which famously claims to be the only place on the island where you can enjoy a drink with your feet in the sea!